Ford just issued a safety compliance recall (reference 19C03) for select 2019 Ford Mustangs (among other vehicles) for potentially faulty instrument panel cluster (IPC) assemblies. The affected vehicles have IPC assemblies that may be blank upon vehicle startup and owners are advised to have their dealerships update the IPC software. The action affects approximately 4,200 vehicles, which include certain Lincoln vehicles. Affected 2019 Ford Mustang vehicles were built at Flat Rock Assembly Plant between November 5, 2018 and January 15, 2019. 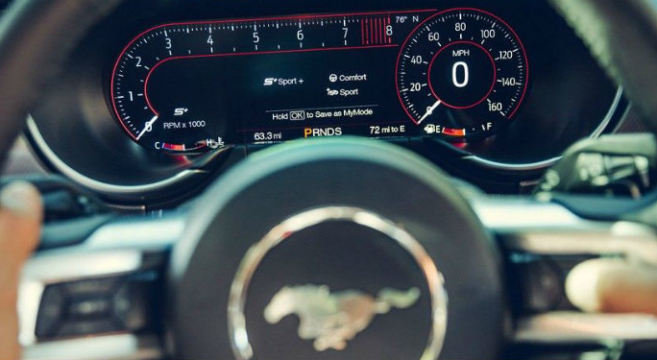 See the full recall notice for the 2019 Ford Mustang instrument panel cluster inside.